A topic in the workforce that really gets people fired up is that of automation and outsourcing. While technology is a great thing and can help broaden one’s reach, there are things you MUST continue to do for yourself. Your hustle can never be outsourced and it’s critical that you perform at high 10X levels to succeed and remain valuable in the marketplace. You don’t want to be replaced by a robot do you? Outsourcing and automation are wreaking havoc on all sorts of jobs throughout our economy. Add to that millions of jobs being sent overseas eliminating not just jobs but entire industries. Big brand companies cut their work forces by 2.9 million in the US and hired 2.4 overseas. Manufacturing jobs collapsed from 19.5 million to 11 million. Manufacturing plants shrunk by 12% nationwide and these were stable middle class jobs and the driving force of US economy. When they go away the middle class suffers. Now more than ever you need to step up to show your value. No one can get rid of your job but you. Companies and individuals are becoming too dependent upon this concept of outsourcing and delegating. Outsourcing has become the new norm and it will only intensify. Understand that if you aren’t exceptional, you will be outsourced. Premature outsourcing or delegation will come back to bite you. Know your job inside and out and become the expert. Write down what you know and tell others what you know on social media and blogs. Get noticed for your knowledge. There is a time to outsource. If you are a major corporation or successful company trying to scale and can outsource to provide better margins and a better experience, do so. The problem is that too many small entrepreneurs are trying to do the same thing and with different motivation. They are outsourcing because they don’t want to do the work! Everyone wants to delegate the tasks that seem tedious or menial and everyone wants to be in power. The thinking is to duplicate yourself and this does work but only when you absolutely have mastered the task yourself. Even then you need to teach someone to do it at exceptional levels and oversee that they are doing so. Delegate all you want, but in the end you need to make the phone calls and be on the front lines solving problems. Man invents a machine to make life easier, and then that machine reduces the need for man’s work. Ultimately, it frees humans up to work on higher-value tasks. Right now, the great fear is that robots are taking over jobs faster than humans can adjust. So what will you do today to be better than a robot? How will you show your value? Do more and remember the best way to move up to higher tasks and more responsibility is to master the tasks you already have. 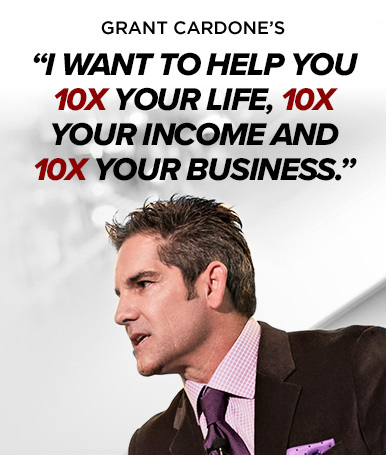 If you received this strategy via social media and want to be sure you never miss one in the future – go to GrantCardoneSuccess.com and I will email a 10X Business Strategy to you directly each week. Lots of our clients want to do business with us. The person they know. Once they feel they no longer have your attention or they don’t feel a personal connection, they tend to move on. I have to agree about the outsourcing. I think you can outsource some tasks but when you outsource any operations to people who don’t have a stake in the business or the outcome quality suffers. Customer service is a perfect example. I think some of the bigger compaies are seeing that you can’t outsource quality. The only thing I would add to this is switching item #5 to the top where you say, “Premature outsourcing or delegation will come back to bite you.” That should start the list. Overall, however, I still emphatically agree with your premise and assertions. You have given facts and proven it over and over that NO ONE can do as well as you. Outsourcing at the WRONG TIME in your business growth can be detrimental.